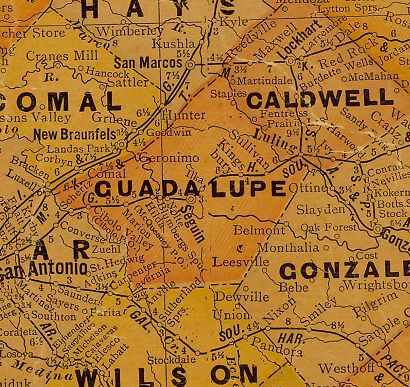 The �community� began as a railroad switch around 1876 when the Galveston, Harrisburg and San Antonio Railroad crossed Caldwell and Guadalupe Counties on the way to San Antonio. It is believed that Jim Sullivan (the engineer of the first passenger train from Houston to San Antonio in 1877) is the town�s namesake. The railroad switch burst to life in 1922 when oil was discovered at Gander Slu. The railroad dropped off oil tank cars for loading and a tank farm was constructed. Although a town was platted, population figures never surpassed 100.